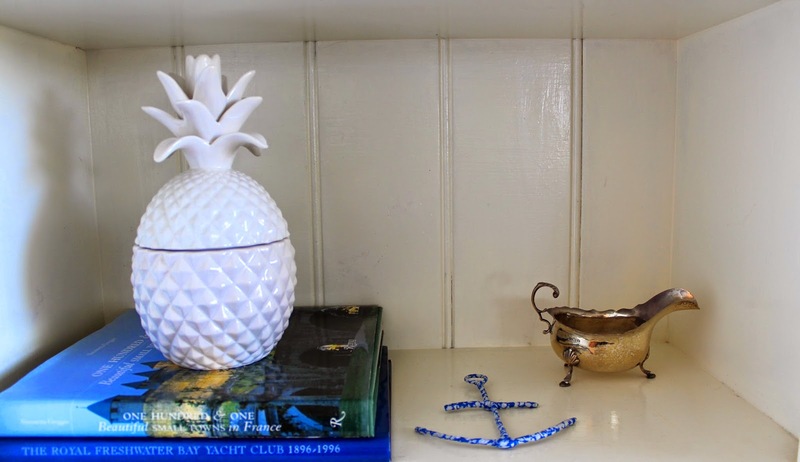 And now for some blue and white coastal shelf styling. What with camera and computer malfunctions, school fetes and charity functions, storms and generally just trying to keep all the balls of motherhood in the air, I haven't been around the blog lately. 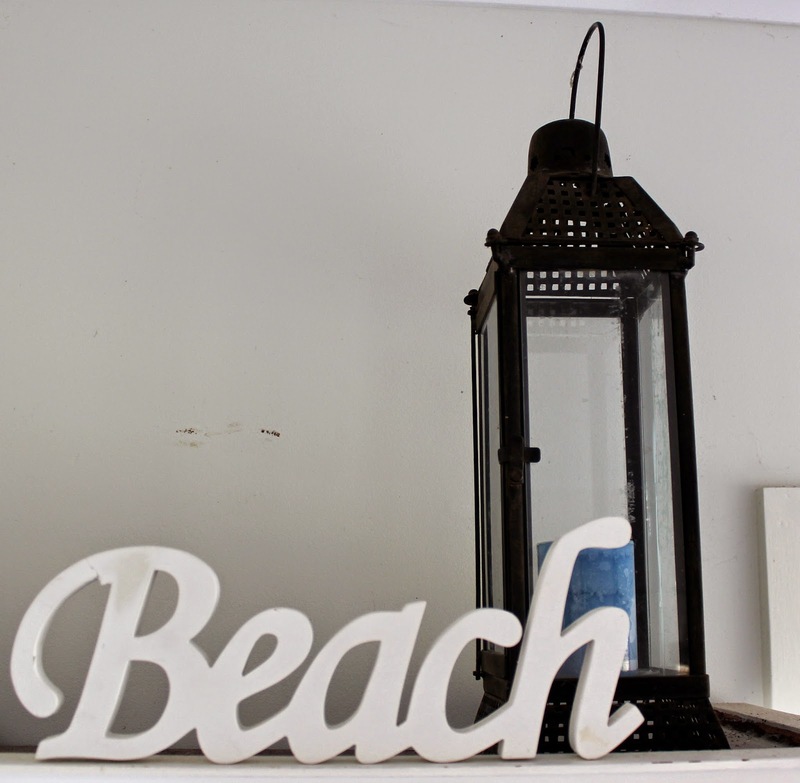 I am still yet to firm up a magazine shoot date, for the Beach House because I have so much to do to get this abode into shape. It's probably rude just to ignore the email, but that's what I am doing at the moment. One such thing I have styled up are these shelves, which were surplus to issue from my son's room after I worked up a study area for him in his bedroom. Not always this messy, but it clearly got this bad at times. and here they are now in the living room. Thanks to Jane from Planet Joy for the anchor, which she gave me when we caught up in Hobart early in the year. The little silver jug was a wedding present from a dear friend. 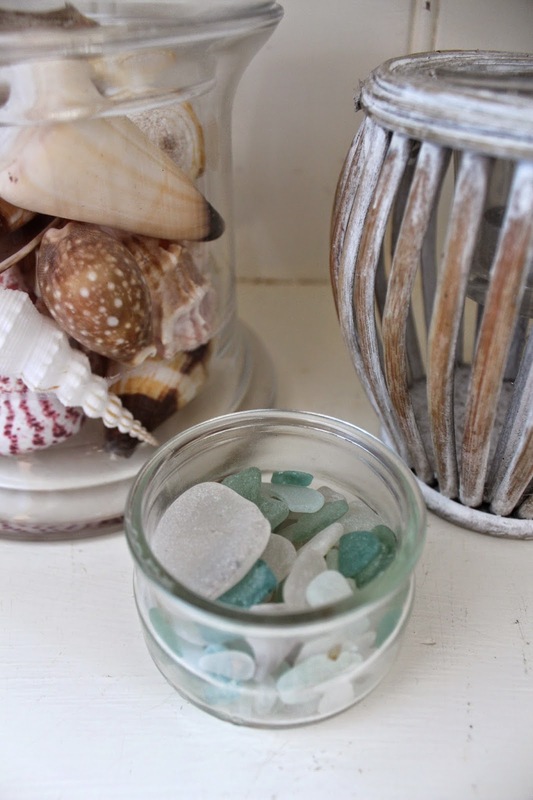 The sea glass was picked up off a French beach in the Med and the jar it is in, was one I ate a chocolate mousse out of in Normandy. I want to go back!!!!! I bought the number 18 in L'Isle sur la Sorgue in Provence. It's not for our house, I just like that number. 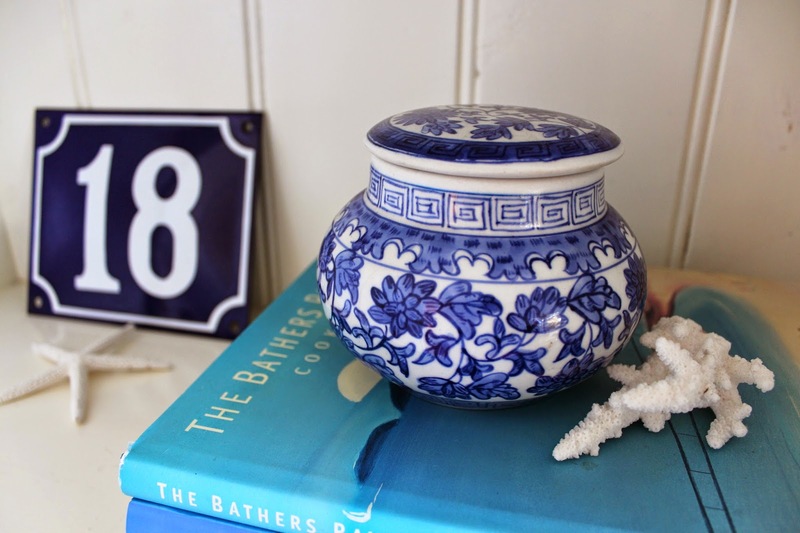 The blue and white china ginger jar was thrifted for a few dollars. 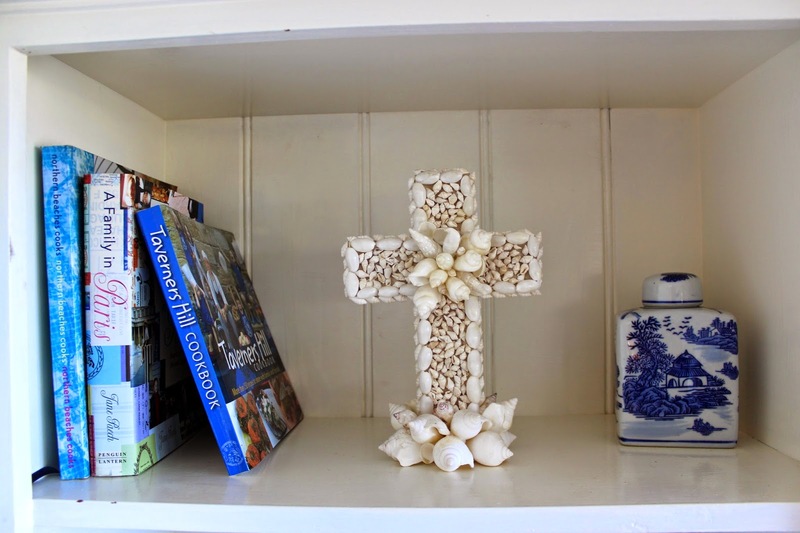 Lots of blue and white books that I love to read and there you have it, my take on how to style some pretty blue and white coastal shelves. 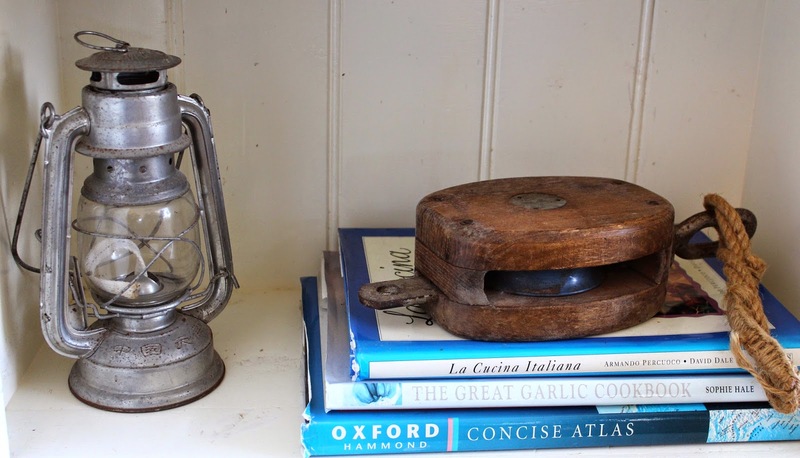 For more of the styling post I have done over the last 4 years in the life of this blog check this out. I love the beach theme! 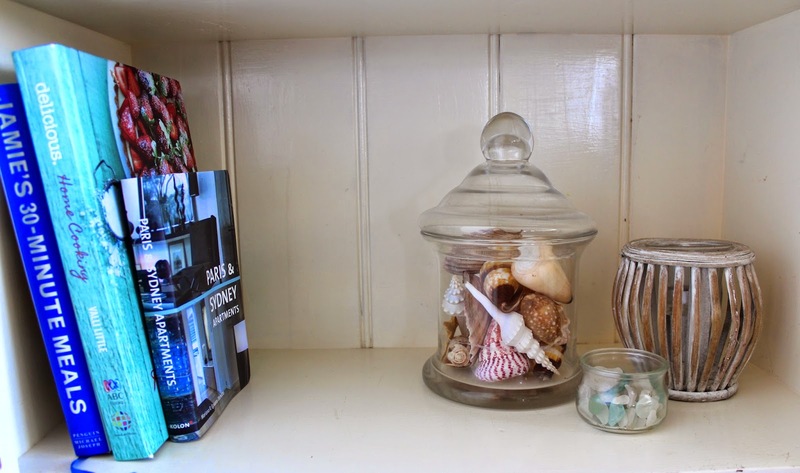 I live opposite the beach and would like to make my apartment more beachy - I could actually collect REAL shells to use! 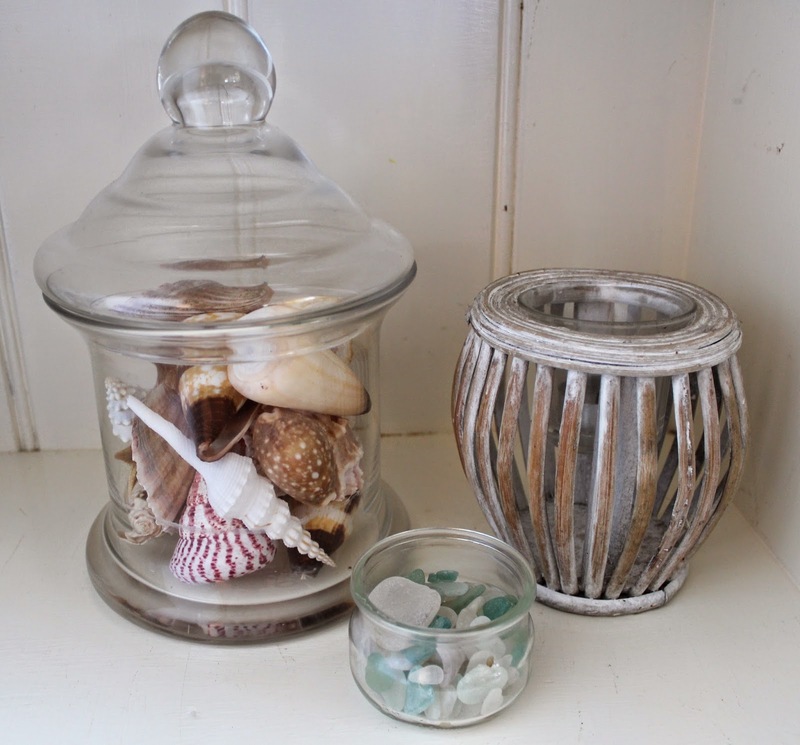 Love everything about it!The anchor, the number and the thrifted jar are my favourite!AriadnefromGreece! The beach theme looks wonderful and what a change on those book cases. Amazing what we accomplish at times. Good luck with your photo shoot for a magazine. Please let us know when to expect it out. Gorgeous styling Carolyn, all those beautiful memories in one spot. And how clever is that Jane? !